Marie-Galante offers some of the finest beaches to be found anywhere in the Caribbean. 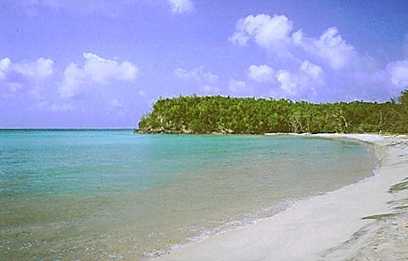 On the west coast, lovely beaches can be found at Anse Canot, Moustique, Folle Anse and Trois Ilets. The superb beach at Vieux Fort, north of Saint-Louis, offers picnic facilities while the sands of Grand-Bourg are protected by a coral reef, making its shallow waters ideal for children. On the east coast, Petite Anse, Les Galets and Anse Feuillard all offer wonderful, unspoiled beaches. The sensational Plage de la Feuillère at Capesterre is also protected by a coral reef, and Anse Taliseronde offers excellent snorkeling and views of Dominica..